FIELD NOTES: Someone has been actively painting balloons around downtown Toronto: maybe not 99 yet, but many indeed. These balloons are always depicted as free from an owner, seemingly floating away. It makes for a nice symbol of the joy of letting go of a piece of art and the fleeting nature of street art. Of course, we don’t know what the artist’s intentions are, but what with the real concerns over the impact of freed balloons on marine life, and of course, peak helium, perhaps painted balloons are the green alternative? 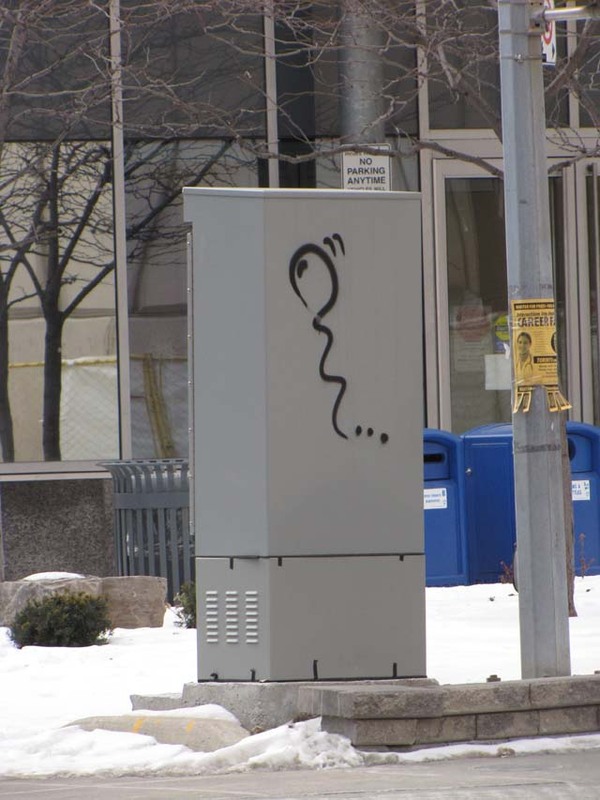 Filed under Artist Unknown, Elizabeth St, Gerrard St W, art, cityscape, discovery, Street Art, vandalist, Vandals!